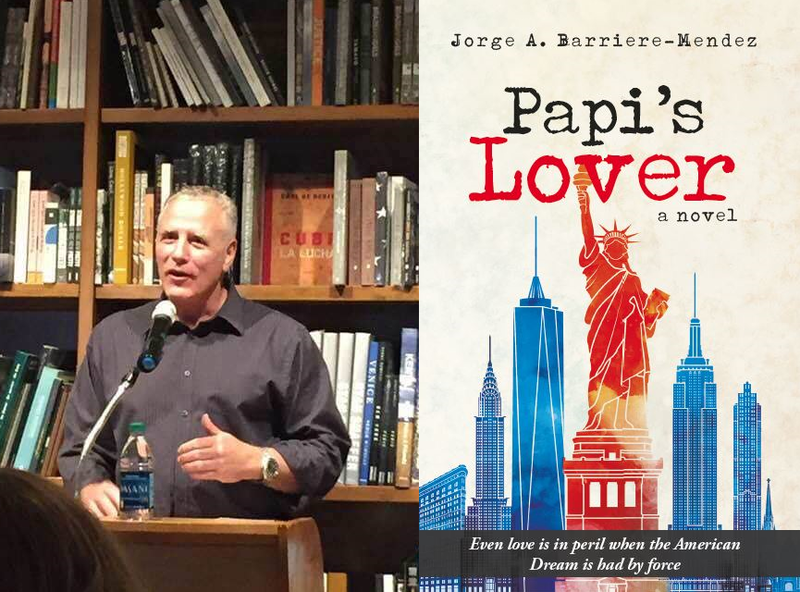 Not too long ago, I had the pleasure of reading author Jorge A. Barriere-Mendez’s new novel Papi’s Lover. It is a different kind of love story that I was quickly drawn into within the first few pages. Dark, gritty, unique, enticing, and real are the best words I can use to describe this excellent addition to the world of literature and I would encourage any reader to pick up a copy and place it towards the top of their neverending “to read” lists. Synopsis: Papi, an important underground crime boss, unexpectedly passes away at an early age. At his wake, his family tries to celebrate his passing as he would have wanted, but it is difficult not to mourn. The wake is turned upside down when a young woman named Daisy arrives: she was requested to make an appearance at his wake by Papi himself to reveal herself as his seven-year lover. Not only does this strong independent woman have to cope with her lover’s family, but she also must help her lover’s partner pay off an old debt to some dangerous people or else all who were close to Papi will face dire consequences. 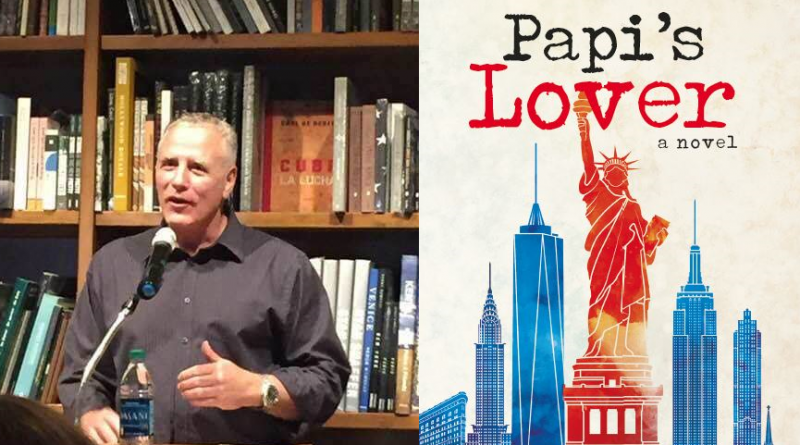 Shortly after reading and reviewing Papi’s Lover, I was given the wonderful opportunity to talk to the talented author behind this enticing novel and what an interview it was. It is always wonderful to hear what authors have to say about their stories. To hear all that goes into writing just one story is truly inspiring and Jorge is most certainly an inspiration to readers and authors alike. Normally when I write interviews I have had with authors, I write the articles as I write my reviews: in third person and almost like a story of the author with direct quotes from them. However, what Jorge had to say simply could not be written like my past articles. Readers should be able to read all of the amazing things Jorge had to say for themselves, not just on his book or even his future books, but about life itself. So, without further ado, may I introduce Jorge A. Barriere-Mendez, author of Papi’s Lover. ALICIA: Please tell me about yourself. JORGE: I’m just one lucky guy; one that has been able to experience life mostly at the edges, at the extremes, and survive all the craziness although all of it has taken its toll. [I’ve] always had the curse of being inquisitive: my grandfather used to call me ‘Y Por Que?‘ (‘but why?’) when I was a child of four/ five. He said adults ran away from me because of it. I never stopped asking, but somewhere along the line, I began to answer the questions myself. The search for ‘whys’ takes unexpected turns many times, I guess (or I want to think that’s the case): delinquency, jail, drug addiction, homelessness. And then, of course, the path out of all that darkness took me to college, philosophy and literature. I always wrote since I can remember. At first in Spanish, then I switched to English when I attended college in the 1990’s, in my late thirties. Never intended to publish first, it was all a process of thinking for me – writing was. But then I thought that certain awareness achieved as a result of existential struggles should not be kept in drawers. I thought about letting them loose. It may help someone else along the way. ALICIA: Where did the idea for Papi’s Lover come from? JORGE: I wanted to write a musical at the beginning. Three acts: The Wake, The Procession, The Burial. That’s how all that musical sense got into those first chapters (the conga players in the parking lot, the radio and the dancing in the wake). Then I realized I needed to know more about the women characters — Mother (the wife of the deceased) and Mercy (the daughter). So, I created one same problem that would affect them differently — A LOVER for Papi (the dead man inside the coffin). Soon I realized that the one character I really wanted to know about was the lover (Daisy) and so I created a second problem (The debt to the Italians) that would allow me to extend the three chapters into nine. There were also a couple of other issues that needed my attention back when I wrote Papi’s Lover, these two at the personal level: a little turmoil on the sentimental front that I needed to understand. I had to get a better grip of love, understand its is-ness. And back in 2004 when I was ready to sit and write this play turned novel, I had been looking for literature about ‘La Bolita’ (Numbers Racket), New York City underworld, the underground economy that existed in the 80’s, and there was none. It was as if it never existed. I needed to provide my humble contribution to this lack. And so Papi’s Lover happens in its entirety within the context of this underworld and its underground economy, and I tried to be as real as I could with how this business called ‘La Bolita’ was run, its technicalities and unwritten laws. I tried to grab and manifest the danger and the fascination of it. ALICIA: Who was your favorite character? JORGE: I have to say that Daisy was, as stated above. And as I wrote, I realized that I was using two women from my past as inspiration for my character. I enjoyed immensely this act of meshing these two individuals into one. Of course, after a while, Daisy acquired a personality of her own, making it even more interesting and enjoyable for me. ALICIA: Was the merging of personality traits to create Daisy your ideal woman for a life partner or are there still some ingredients Daisy may be missing? What makes a perfect life partner for you? JORGE: What I was after when I delved into Daisy’s character was to create an authentic person and I gave the writer in me the challenge of creating an authentic person that had the dubious role of a lover, how to be a lover and authentic at the same time. How can one live in a world of lies and pretentions and still be authentic? The way out of that one was to make a distinction between the person and the role that person was occupying at the moment. I had to make her make sense. And I had to go deep into her character to find the authentic core, one that would be real in spite of what she had said and done. I used as inspiration the two most authentic people I had known at the time; but once Daisy was clear in my mind, when I felt her breathing and heartbeat, she took off on her own. A perfect life partner? In order to answer that last question, I have to define what the span of ‘a life’ would be. I personally think that I have had three or four lives in this one lifetime and that line of thought would indicate that three or four ‘life partner(s)’ would be needed. I don’t even think it feasible to propose that one single person would have the inclination or will to make the exact changes simultaneously with me in order to stay in harmony and in the same frequency as I, for if she would, her authenticity as a person would be seriously challenged. As a result, this other one person would have to be molded and predetermined and, of course, the result would have been a very unhappy individual. I don’t think I could have had one life partner. In retrospect, I don’t think that the purpose of my life was ever to be happy, but to expand and stretch the awareness into my humanness. No one life partner can be crazy enough to follow my lead for too long. ALICIA: Did you have a favorite scene to write? JORGE: I enjoyed writing the whole novel. And, at the same time, it took so much out of me, I have to say. Insights hit hard sometimes. There are corners of you that you’d rather not get to, or perhaps, you get there without much harmony. I think I want to say, I was unprepared. But Chapter Two was the one that gave me a challenge for not a word is spoken. It’s just the narrator imagining and yet, it’s so early in the novel and the characters had yet to be defined. He had to be good in these imagining. It was as if he was drawing them and there was not much space for error. ALICIA: With this being a darker and grittier story, were there any parts that you found personally difficult to write? JORGE: Nah, actually, I would have wanted to get even grittier and darker at times. If you read some of my short stories, you’ll see what I mean. I wanted to stay lighter on the novels, more accessible. I deleted many lines, whole paragraphs for I wanted to stay away from ‘pure’ philosophy as much as I could. I have been told I write ‘hard literature’. Hard literature is not for everyone, I believe. I can tell you that I kept reminding myself – keep it readable. ALICIA: You have a talent for portraying everyday humans in your characters. Everything the characters feel and do is so realistic and your storytelling makes it seem like this fictional book actually happened in the past. How easy was it to write your characters? Did writing them flow naturally or did it take some time? Did your characters talk to you at any point (I’ve heard other authors who have had their characters speak to them before)? JORGE: My mission statement as a writer is to break as many rules as I can and still be able to tell a good story. I understand that a love story has been told millions of times and what makes one specific love story unique, original, and fresh is the voice in which the story is told – its narrator. But the process is a fascinating one. I close my eyes and see what’s happening, then I just let my fingers describe what transpired. Once that dynamic happens, I know I’m on my way to a good story, it means the story is ‘working’. My narrator will never be an all knowing, all powerful entity, a god-like creature. He will struggle understanding what he sees, he’ll try to make sense of it, will be in doubt many times and will simply not know and will confess to this lack of knowledge. He will always be sort of a peeping tom and will be behind the scenes witnessing the action and then he’ll turn around and tell the reader what he just saw, preferably in present tense. He’ll make asides to analyze what has just happened. In this novel (and the other one coming in 2019), the characters wrote themselves. Many times, I was reading off the screen and was surprised by what they were capable of saying and doing. It was an amazing process, as if the story had been already written. My characters wake me up early in the morning and I have to grab a piece of paper to write what they want to say. They stop me in the middle of me doing something else to tell me something and so I have to run for a piece of paper to write down an important sentence they must utter. They change their minds at any given moment and I have to return to my novel to make the necessary changes. I sometimes realize in the middle of the night what’s happening to them, why they said or did that. I will understand them at some point. They would intrigue me, would make me sick, would make me proud. Sometimes they are not who I thought they were. You must practice insanity if you want to write with any kind of value and ability. Do they talk to me? Heck, sometimes I find myself talking to them. ALICIA: You also have a real talent for writing about life and love. Even during dark times, there is always a light that shines through. Even when it feels like one has no one, there is always someone there to love, whether as a family member, lover, or friend. Is this a theme that you wished to portray in Papi’s Lover or in your series as a whole? JORGE: Reality is that we take that next breath out of hope. Without it, we wouldn’t. That constant sound in your chest is the ticking of hope. Granted, everything we say and do, we say and do out of fears, ‘To be concern is what makes us human,’ Martin Heidegger famously said and yet, what really makes us human, I believe, is the fact that in spite of it, of that intrinsic fear, we manage to breed hope. We do bring this hope forth and we insist in love. We seek it. We find it. We lose it. We seek it. We find it again. And there’s an urgency to our hope, the urgency forced on us by impermanence. If one writes about being human, which is the real topic of all of my stories, you write about hope and love, because hope and love is precisely what makes us one. My stories seldom have a happy ending. What I write is urban realism. Happy endings are not the stuff urban realism is made of. But this urban realism is inhabited by us, by people, by the creators of hope. My characters will have hope. My characters will seek love. They may not get there, but they will die trying. How is ‘trying’ even possible without hope? ALICIA: After having written short stories and a nonfiction book, what was it like writing your first fiction book? JORGE: Collections of short stories are also works of fiction. I’m always writing a novel, always have been writing a novel. What happens with novels is that they get too close, too personal, too painful. I need to step away from novels, take a week, two weeks away from them. But I still have this need to write, my fingers must create something, tell me some kind of story. I write short stories when I’m running away from my novels (more than sixty short stories in total). I write adventure stories. I write plays. I wrote ‘An Applied Philosophy of Self’. I write poetry and I write it in Spanish (the only thing I write in Spanish is poetry. I have no idea why). This novel Papi’s Lover I wrote from 2004 to 2008. I Am Diego, the one coming in 2019, I wrote from 1998 to 2001. The third novel (unnamed still) I wrote from 2009 to 2018. It isn’t that I decide to write a novel. It doesn’t work that way with me. Things just happen and I say – well, and in the meantime, here’s another short story. ALICIA: I see Papi’s Lover is the first of a trilogy you have planned. Is there anything you can share with your readers about what to expect in your upcoming book(s)? When can we expect them to be published? 2) Who the hell is Diego? I Am Diego will answer those two questions. In that sense, it’s a trilogy, but each novel will work on their own, not needing one to understand and enjoy the others. These three novels, Papi’s Lover, I Am Diego, and the third one as of yet unnamed, will share the same neighborhood, the same time period, and many characters will come in and out of all three novels. But all three novels together will create an unforgettable neighborhood full of memorable and important characters. But I want to say that the world that these three novels create is a fictional one only because it never happened, and not because it’s not real. There’s only a set of words and acts that did happen and we call the sum of these set of words and acts ‘reality’. But all the endless possibilities that never happened and could have, we call fiction. ALICIA: I can definitely see you getting darker for the story you created. Do you plan to make the next two books darker and grittier than Papi’s Lover? JORGE: I Am Diego takes grittiness to another level. It’s really darker and a lot more serious than Papi’s Lover. The causes for love, which is what Papi’s Lover is after, only happens after a life is had and one is willing it into a better situation, one that will be shared by another special person. I Am Diego is about the right to have those choices, about the fight to call your life yours. I Am Diego is about the plight of one young man to break all schemes and predetermined plans about his life; to claim it as his own. It’s a lot more complicated than to fall out of love while you simultaneously fall back in love with another man as Papi’s Lover is. I Am Diego is an even more universal theme than love, if that’s possible. I Am Diego is about the will to a will, about independence, about life or death. ALICIA: If you had made your trilogy into a musical like you originally planned, would it have been more of a tragedy or another genre entirely? JORGE: Once the Three Act Play extended into a novel, the intention to write a play was forgotten. The need of a trilogy presented itself when I realized that I had tapped into a whole lot of material that I needed to lace into one big and epic story. Characters materialized one after the other and I couldn’t possibly make all of them and all of the material fit into one novel. Furthermore, from the existential need to know about love (Papi’s Lover), I went to the even more encompassing need to know about identity and the human wish to predetermine and control others and society in general (I Am Diego). The third installment was made necessary when I had to tie all the loose ends and answer all the unanswered questions left behind by the first two novels. The original intent of a play, which I erroneously called a ‘Musical’ in that first set of answers, was not a Musical at all since there was no singing or dancing by the actors. I was going to have for that first act a six-man band playing old classic Cuban Son Montunos on stage and coordinate that with three other men playing Congas and Guaguancos also on stage. For Act II, I was going to have two sets of four chairs facing each other simulating the interior of a limousine. And then for Act III, a few tombstones on stage giving it a feel of a cemetery and Rap or Reggaeton as background music as wife and lover had their first of three confrontations. It would have been a tragedy with a lot of live background music. I always wanted the audience to see the musicians, make that part of the entertainment. So, does that make it a musical? I don’t think so. ALICIA: Do you think you will still write a play/ musical in the future? JORGE: I wrote a play, a one actor existential play, ‘Man Deconstructed’ and I surely hope that it will eventually be produced because I cannot wait for the audiences’ reaction to that one. The play asks many important and seminal questions about existence, authenticity, purpose, life, but gives not many answers. What the play does is it sells the need to know these answers and forces the audience into finding their own answers. I would have loved to be baited like that, to be exposed to these important lacks when younger. Questions are and will always be more important than answers, for questions can never be wrong and will remain in front of us until answered correctly. But no, I don’t think I’ll consciously sit down to write a play again. Last time I did, I had to endure the pain and anxiety of a trilogy. No joke, it is painful to write a novel, to put yourself through it. But then again, there’s absolutely nothing that I’d rather do than write and feel. ALICIA: What is your connection to the upcoming blockbuster movie The Corporation? JORGE: The movie is the life of Jose Miguel Battle, the person everyone called ‘The Godfather of La Bolita’. La Bolita is the name given to the illegal numbers racket that was so prevalent in New York City, in parts of New Jersey, Miami and other places. Jose Miguel Battle’s criminal enterprise, one that grew out of his need to be powerful and feared, was called The Corporation, or La Corporacion. I worked in that racket for 15 years, from the age of 19 to 34. I learned the business working for him and later, I became independent and worked against him. I maintained a love/ hate relationship with him personally and his enterprise, and I knew most of the characters that are featured in the book in which this movie will be based. I was in my early twenties and surrounded by old school ‘Boliteros’ in their 50’s and 60’s, all of them by now deceased. I’m one of the few ‘insiders’ that’s still breathing and can tell a few things that are not included in the book. I had conversations with the producers. There have been talks of me consulting for the movie at the script writing level and then at the production level. We are looking forward to it – Meet new and the right kind of people. My publicist, Bertha Morales, and I believe Papi’s Lover and I Am Diego will translate beautifully into a movie. When I closed my eyes to imagine these novels, it was a movie what I saw playing in front of my eyes. So why not? ALICIA: Just from your first book alone, I can definitely see your books being turned into a movie. If they were, would you try to make one movie about all three books together or would you want one movie per book? JORGE: All three novels into one movie. I can even see how it can be done, how it should be done. Diego, his father Don Rene Gomez, and his Rooftop Committee will be the main characters in the movie. Daisy and Primo, Papi’s Lover‘s two main protagonists, will be secondary characters who will be developed and used only to give more space for the director to expose the characters and the ambience of the neighborhood. I really believe that I Am Diego, coming out in 2019, will be my most important work. I wrote I Am Diego back in 1998- 2002 and as I have already stated in a prior answer, Diego killed a man for just being in the wrong place at the wrong time. I thought that faceless man deserved a face and a life. So, I gave it to him in Papi’s Lover, for no one exists in a vacuum. If readers like Papi’s Lover, they will love I Am Diego. ALICIA: What was it like holding Papi’s Lover in your hands for the first time? The feeling you had? JORGE: To hold your book in your hands for the first time is an amazing experience. It happened to me back in 2003. Then in 2015. Then in 2016. But this one is somehow different. It has a different weight. It’s lighter and I don’t mean less pages. This one feels like it should be read. I’m proposing it with much more enthusiasm. This one brings a different kind of hope. I believe this one will be extensively read, will be recommended, will be accepted as a good work of literature. Collections of short stories like the first two have a limited readership. A non-fiction book with a heavy undercurrent of philosophy brings with it its inherent limits. But this is a novel and the reviews and feedback we are getting are very optimistic and positive. This novel may be as good as I think it is. This question brings me back to 1998 when I sent my first story out to find a publisher. ‘Displaced’ was the name of the story. It felt as if I was sending my unprotected child into the mean world. I counted days for it to return. Sent it to six different journals. Felt as if my offspring was being judged by strangers, unknown others, and I was not there to defend him. Me, the creator, really the one to blame. That first check I got for ‘Displaced’ is still framed, inside a drawer where I keep what’s important. ALICIA: What would you like readers to take away from Papi’s Lover once they have finished reading it? JORGE: I want them to be touched by the struggles of the characters, to be able to feel a healthy cathartic, to be aware of all that love encompasses, to know exactly the difference between authentic and in-authentic love and to be able to locate their own relationships within these two poles. I want Papi’s Lover to be thought provoking, to force pairs and loved ones into consequential and existential conversations about their own lives and relationships. But above all, I want them to feel like Mother (the wife), like Daisy (the lover), like Mercy (the daughter), like Primo… and I would like the reader to be able to understand all and every one of them. Exonerate their actions to the point where a judgement would be obsolete and unnecessary. I would love readers to come out of this with a better appreciation and acceptance of the act of being human and vulnerable and afraid and still, after all of that, know without a doubt that hope is the one thing that will make us open our eyes in the morning and say – here we go! I hope that some of the more insightful readers would realize that the novel is my contribution to a long list of novels about the ‘theater of the absurd.’ About how indifferent life can be, how it, life, can pick an individual at random and assign him or her all of these emotions and sentiments as ‘problems to solve’ only to leave her (Daisy) at the end in the exact spot where it had found her. The protagonist went through Hell and all for nothing. Perhaps the ultimate message of the novel is that there will never be a guarantee, that all that life is is an opportunity to enhance and attain a higher level of awareness into our own humanness. Daisy achieved within these six months (which is the time span of the novel) a level of conscious awareness that will put her at another level, a higher plane, but yet, left her in absolute misery, perhaps a higher level of misery. The question is: What is it that we should pursue as a purpose of life? Happiness, or a deeper sense of awareness into our humanness? And the question is an important one for it would absolutely change our paradigm, or mission in life. If it is happiness, Daisy’s journey was an absurdity. If it is a deeper sense of awareness into our humanity, the protagonist’s journey was an absolute success. The novel questions the value of wisdom because Daisy is undeniably wiser, but totally and devastatingly alone.